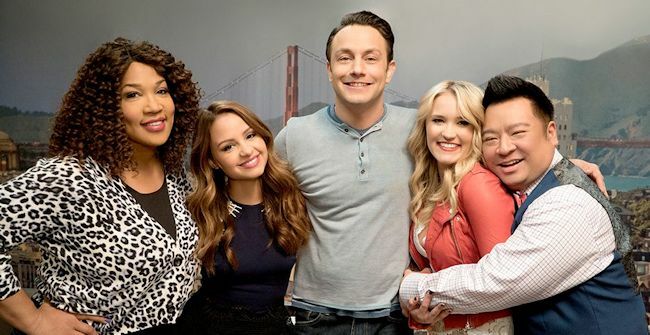 Young & Hungry will kick off its final season with back-to-back episodes of the fan-favorite comedy on Wednesday, June 20, beginning at 8:00 p.m. EDT/PDT on Freeform. The final season sees Gabi and Josh happily together and in love, but now navigating their new status as a full-fledged couple. Meanwhile, the rest of Josh's staff, Yolanda and Elliot, are grappling with the change in work dynamic with Gabi as the "woman of the house." Sofia, Gabi's best friend, who begins to feel like a third wheel with the new couple, sets out on her own path to find love. The series stars Emily Osment, Jonathan Sadowski, Aimee Carrero, Kym Whitley and Rex Lee. In the first episode, "Young & Downton Gabi," Gabi and Josh delight in their new status as an official couple, but Elliot and Yolanda are worried about how their work lives will change now that Gabi is the "lady of the house." Trying to make things less awkward, Gabi asks Josh to spend more time at her apartment, but Josh is horrified when he learns how messy Gabi is. In the second episode, "Young & Third Wheel," Josh decides to set Sofia up with someone, in hopes she'll be less of a third wheel in his and Gabi's relationship. But when Sofia hits it off with Josh's dentist, Gabi isn't so sure he's the right one for her friend. Meanwhile, Elliot turns to Yolanda for help in reigniting the spark between him and Alan. Guest starring Bryan Safi, Lainie Kazan, and Tim Rock. Baskets, the acclaimed comedy series executive produced by and starring Zach Galifianakis, has been renewed for a fourth season on FX. 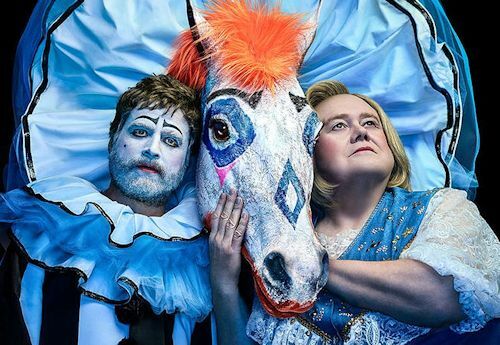 Baskets features Zach Galifianakis (Emmy nominee for Outstanding Lead Actor in a Comedy Series, Baskets) as twins "Chip & Dale Baskets," and Louie Anderson (Emmy winner for Outstanding Supporting Actor in a Comedy Series, Baskets) as "Christine Baskets," and Martha Kelly as "Martha." The recently concluded third season saw the Baskets family attempt to run a rodeo together. In the emotional season finale, the Baskets family gathered to celebrate New Year's Eve with "Ken" (recurring guest star Alex Morris), who had a question for "Christine" (Louie Anderson).